Brian Culton, a former Marine, fell on hard times after his employer died costing him not only shelter but income. Through help from St. Patrick Center, Brian lives humbly in a south city apartment which he maintains with great care and pride. Brian Culton cleans his apartment daily to keep the dust and clutter away, his dishes are washed and neatly stacked in cabinets, the trash emptied. He never thought it would happen to him, but Culton lost his job and residence, ending up homeless in St. Louis. Culton, 64, worked steadily since being honorably discharged from the U.S. Marine Corps in 1973. He worked at the former Chrysler plant in Fenton, as a roofer, at the Doe Run Company plant and as a subcontractor in Festus and finally at a real estate firm in Festus taking care of properties. He lost that job when the owner died, and he was evicted from his home, living for a time in a shed and then seeking shelter anywhere he could find it. St. Patrick Center helped Brian Culton find a small apartment in south St. Louis as well as assisting him with other services. Eventually, he found respite at the Biddle Housing Opportunities Center emergency overnight men’s shelter, a partnership at the time of the City of St. Louis; St. Patrick Center, a Catholic Charities agency; and Peter & Paul Community Services. 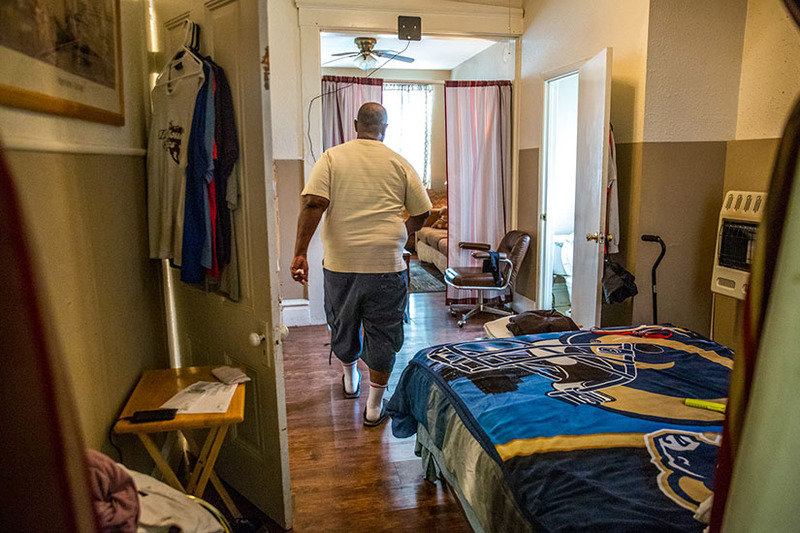 It was St. Patrick Center’s intake, assessment and connections to housing support services that helped Culton get back on his feet and stabilized in housing. Assistance included his first six months of rent, furniture and a settlement on debt owed to a utility company. He’s lived in his apartment in south St. Louis more than a year and a half. St. Patrick Center and Peter & Paul staffed Biddle Housing Opportunities Center as a daytime service center and overnight shelter from its start in 2016 under a contract that ran through July 31. They chose not to reapply for the contract. However, people such as Culton who find themselves homeless or at risk still will be referred to St. Patrick Center for assessment and connections to housing support. The coordinated entry process is designed to remove barriers to housing as the client’s first step. Job and skills training along with employment placement sometimes are part of the support services. Also included is case management, housing identification, rent and move-in assistance, behavioral health services and more. St. Patrick Center recently released a report showing that 6,600 men, woman and families who were homeless or at risk of becoming homeless were served by its intake specialists after coming to the Biddle Center and being assisted as part of a “Housing First” coordinated entry collaboration between the city and the St. Louis City Continuum of Care. Almost half of St. Patrick Center referrals were for shelter, 41 percent were for housing programs and six percent for other support services such as case management, behavioral and physical health and employment. Fifty-eight percent of people who came to Biddle Center didn’t pursue a full assessment for housing assistance after their initial conversations with specialists. Some may have solved their housing needs themselves; others may not have met eligibility requirements or may not have been ready to take the next step, the St. Patrick Center report stated. Of the 2,800 assessments to determine barriers to housing, 10 percent needed minimal assistance to be stabilized in housing; 60 percent were candidates for a rapid connection to permanent housing and case management; 30 percent needed permanent housing with longer-term, more intensive case management. The experience strengthened St. Patrick Center’s partnership with Peter & Paul Community Services and brought a different level of experience with the homeless and at-risk population, said Laurie Phillips, CEO of St. Patrick Center. It filled a role that was needed in the community, providing three meals a day, laundry, showers and more for people who needed help, Phillips said. 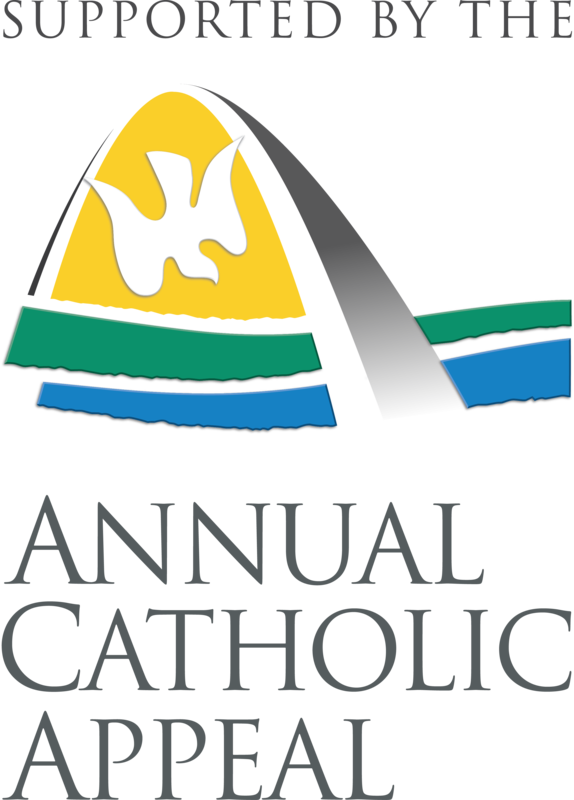 St. Patrick Center returns to its core mission, she explained, with less stress on its resources, especially since the cost of the services being provided exceeded the funding. Intake, assessment and connections to housing support services that St. Patrick Center provided will continue and even be strengthened in the future, she said. St. Patrick’s mission is to help individuals and families build permanent, positive change in their lives through safe and affordable housing, sound mental and physical health, and employment and financial stability. Homefull, an Ohio-based homeless services provider, takes over as operator of Biddle Housing Opportunities Center Oct. 1. • Nearly 74,000 emergency shelter beds were filled during regular weather conditions. More than 2,500 extra beds were filled during extreme weather. Seventy-one percent of the men stayed in the shelter fewer than 30 days. Almost half stayed fewer than seven days. • Nearly 224,000 meals (breakfast, lunch and dinner) were provided. The St. Louis community donated 97 percent of all food served (restaurants, casserole teams, companies, other agencies and individuals). • Nearly 15,000 showers were provided. • More than 9,000 loads of guest laundry were washed. Though St. Patrick Center no longer is one of the operators of Biddle Housing Opportunities Center, it continues to work collaboratively to provide services to people who are homeless. It continues a homeless assistance approach, Housing First, that prioritizes providing people experiencing homelessness with permanent housing as quickly as possible and then providing supportive services as needed. For more information, visit www.stpatrickcenter.org.